Hello, hello friends! I am so excited to have you here today. I have joined a fabulous group of bloggers to bring you a ton of Really Awesome Halloween Costume ideas! Halloween costume planning begins early for us as we start to plan for October birthdays and often like to coordinate our costumes with the birthday party theme. 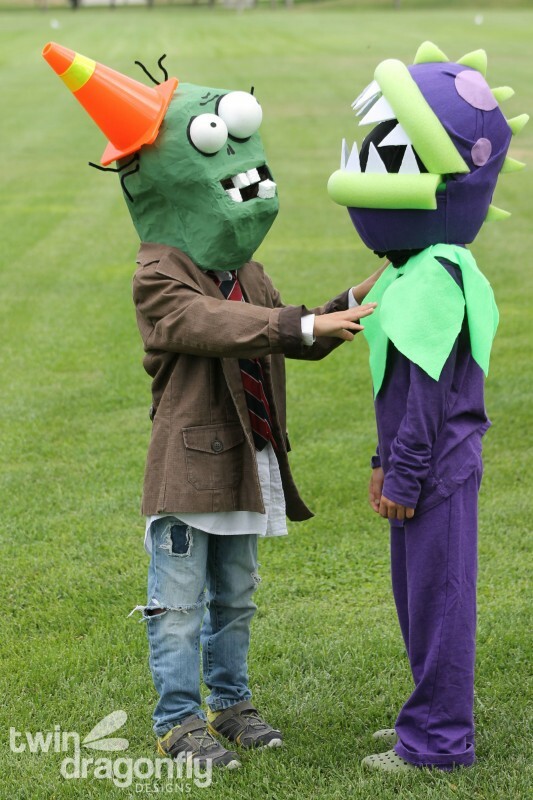 This year the boys requested a Plants vs Zombies birthday party and therefor, Plants vs Zombies costumes! 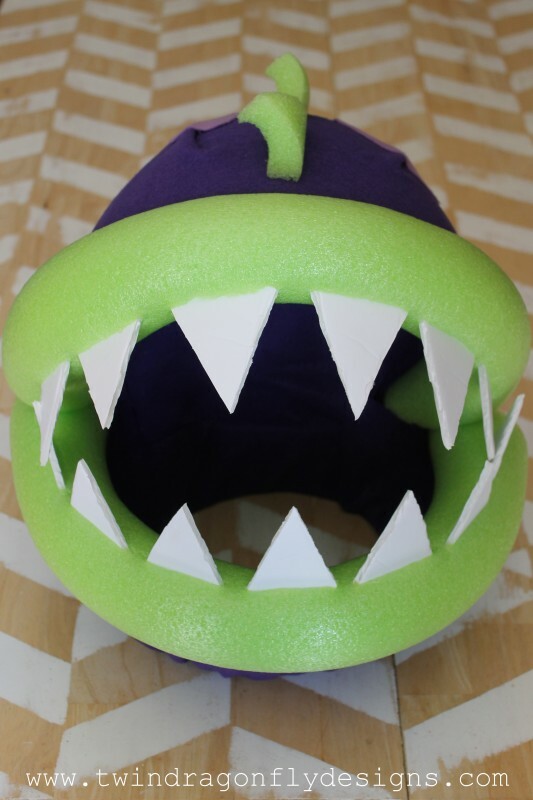 Today I am sharing the tutorial for this totally authentic purple Chomper Costume. Plants vs Zombies is a popular video game that our whole family loves! 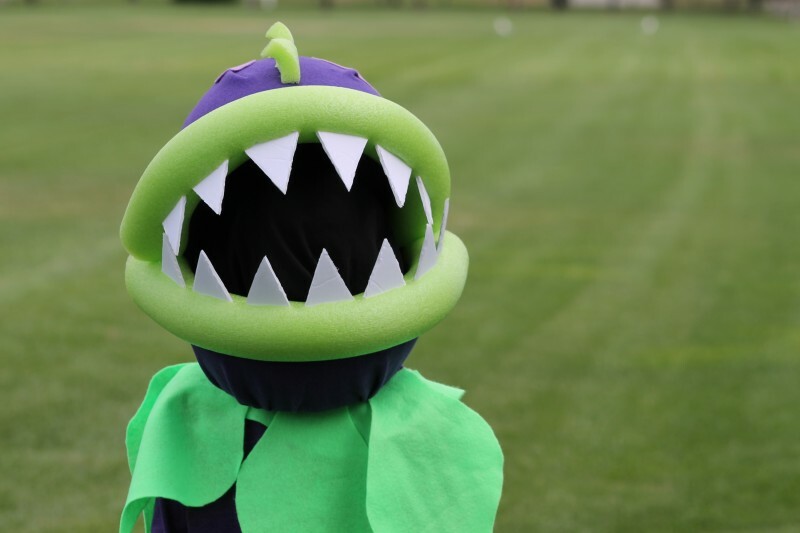 Cameron chose to be a purple chomper plant while Isaiah asked to be a zombie with a cone head. 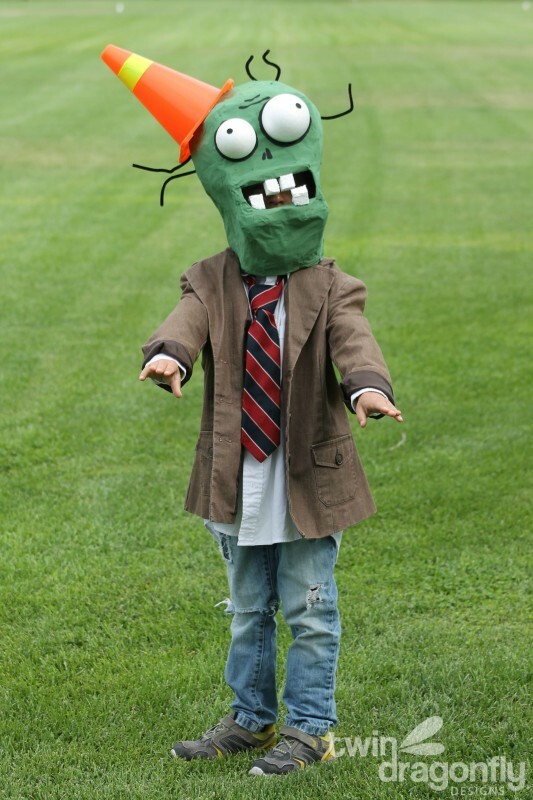 Last week I shared the tutorial for this Plants vs Zombies Cone Head Zombie Costume – be sure to check it out! 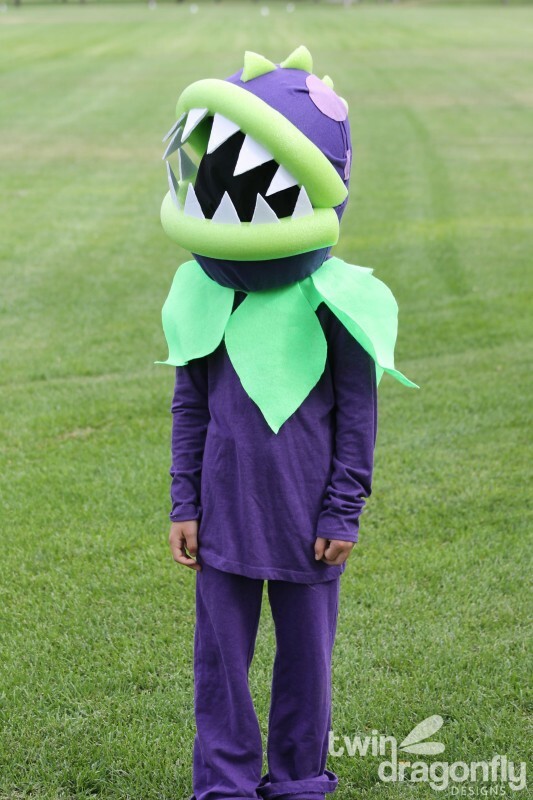 The main focus of this Plants vs Zombies chomper costume is the large chomper head. 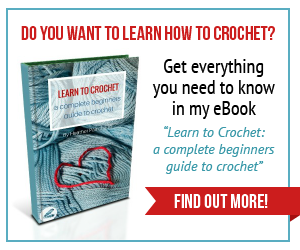 It is lightweight and easy to create! I wanted to make something that would be comfortable for Cam to wear all day long and not heavy or awkward. Step 1: cut a hole from the bottom of one bowl big enough to fit a head through. 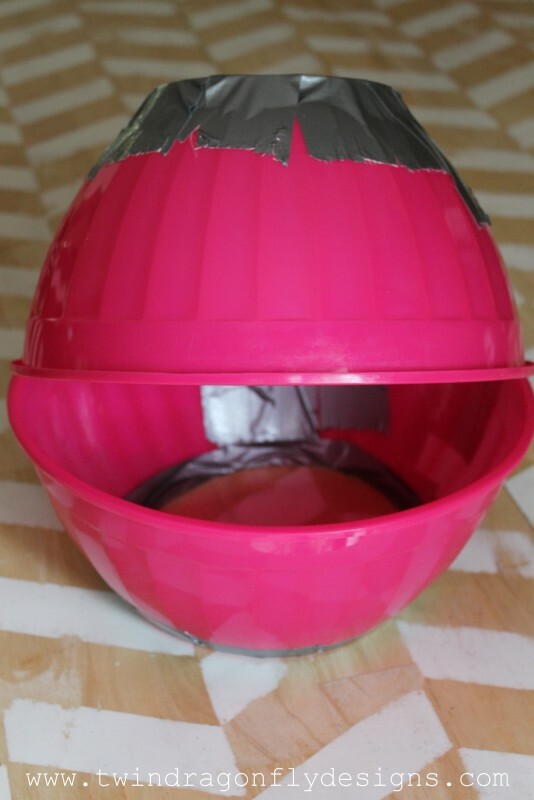 Tape the bowls together to form a large mouth shape. Step 2: reinforce the bowls with hot glue. Line the cut edge of the bowl with duct tape. 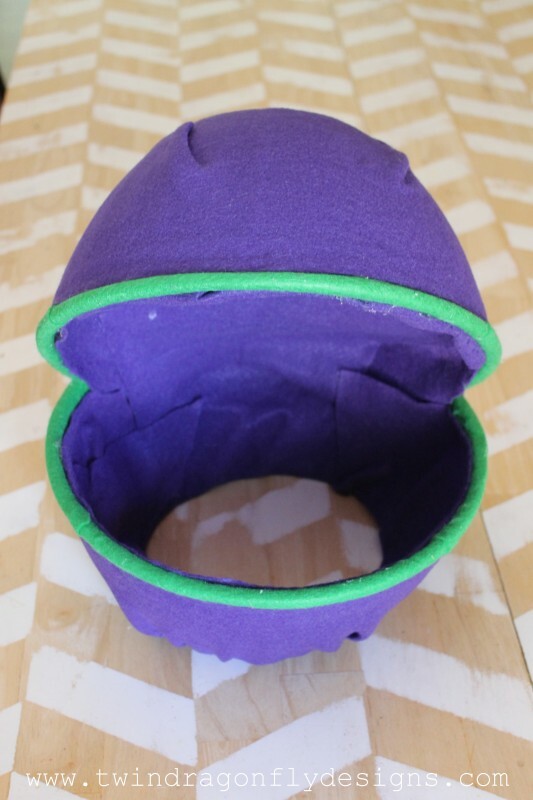 Step 3: cover the entire head with purple felt using hot glue to affix the felt to the bowls. I cut and folded the felt as needed. Step 4: cut the pool noodle in half length wise then cut the halves all the way down the length of the noodle just to the center (creating a slit). 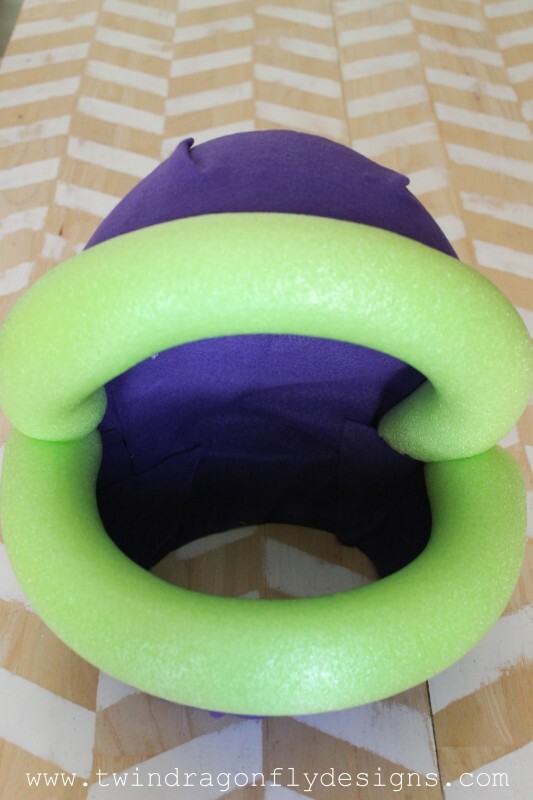 Fit the pool noodle “lips” to the mouth, trim off excess noodle and hot glue the noodle in place. Step 5: use the excess pieces of noodle to create spikes and glue them to the back of the head. Step 6: cut the foam core board into triangles. 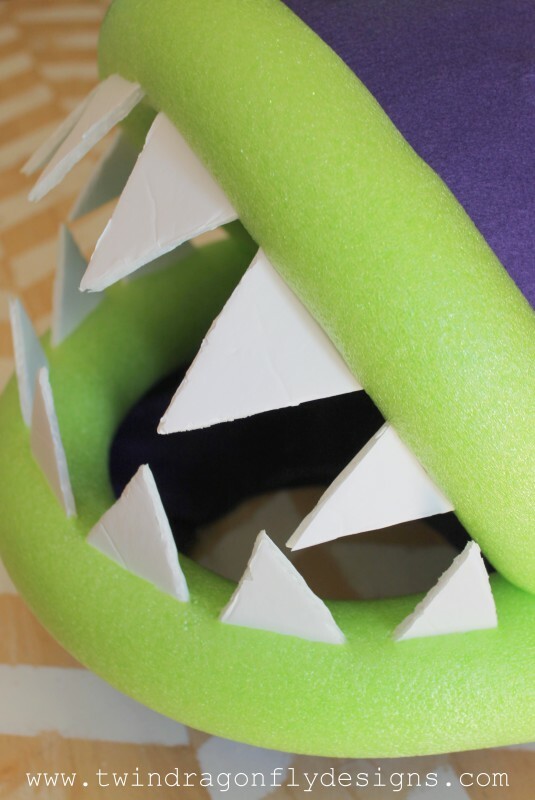 Cut slits into the pool noodle and glue the triangle teeth into place around the mouth. 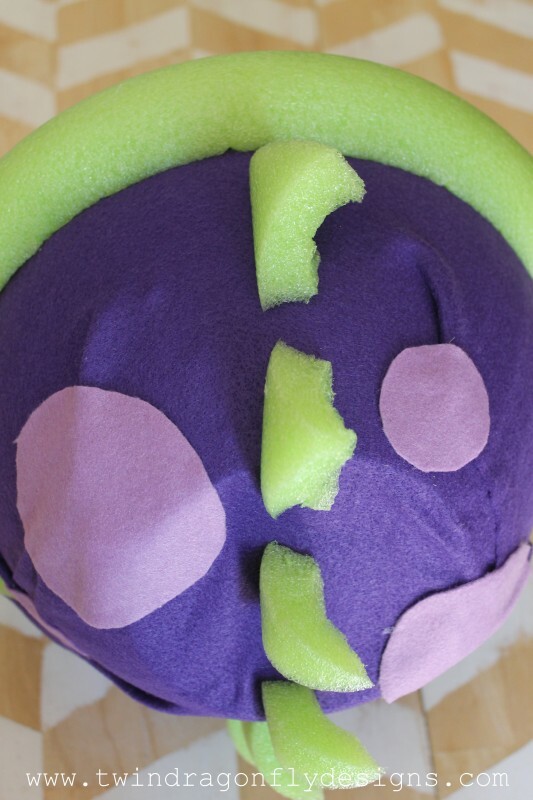 Step 7: cut circles out of light purple felt and glue onto the head. Create a leaf collar with the green felt. Purchase a purple top and pants and you are all set! Our finished costumes are kid approved! The boys can’t wait to wear them on Halloween. 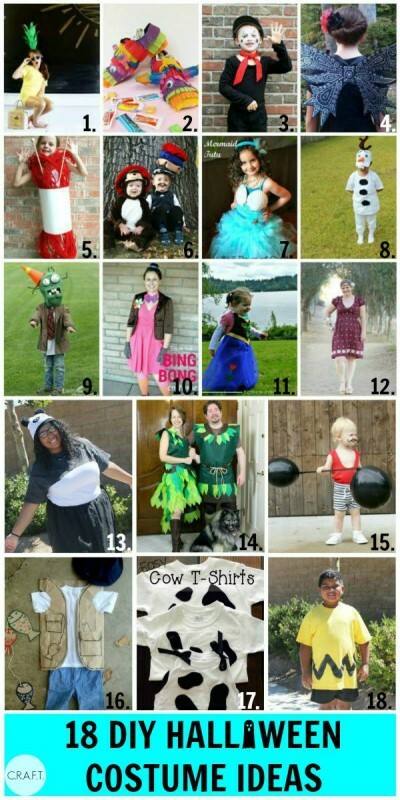 If you are looking for more costume ideas then you are in luck! 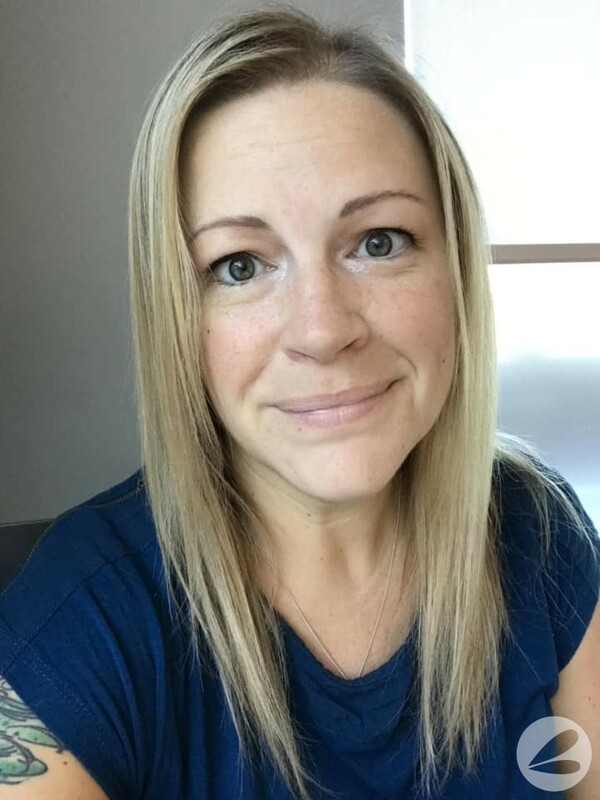 Be sure to scroll down and check out all of the awesome ideas that my fellow bloggers are sharing today as well! 16. Free Fisherman Costume — C.R.A.F.T. 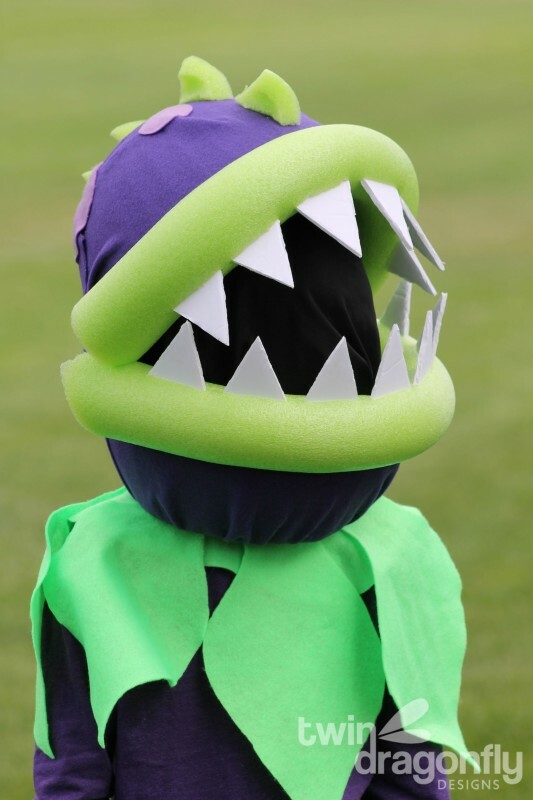 I love your chomper costume! 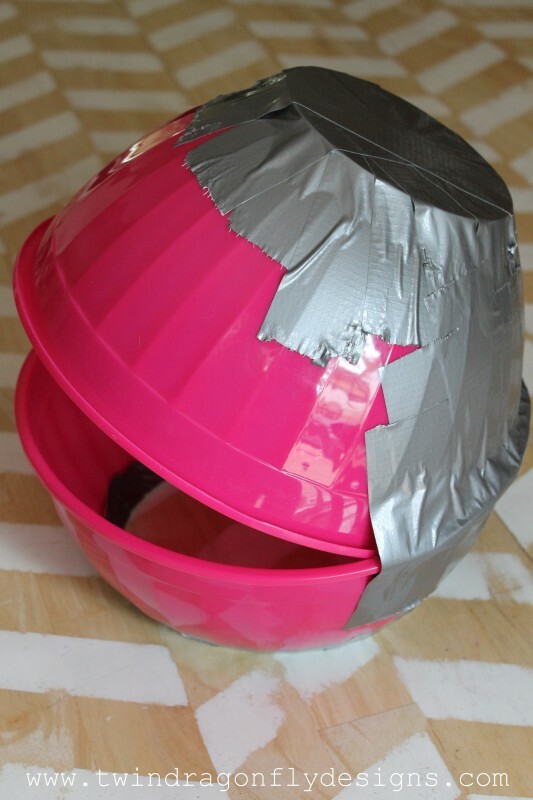 My son wants to be this for Halloween so I am attempting to make it but having trouble cutting the hole in the bowl. It keeps breaking. How did you cut it? Am I missing something? I used large kitchen scissors. Hi! Is there a way you kept this secure on your son’s head? It’s moving all over the place. Trying to think of a way to secure it. Thanks! Try batting/cloth stuffed on the inside or creating ties to go under the chin? Good luck! Thank you so much! Glad you had this posted with pic of each step! We looked everywhere for this costume! !